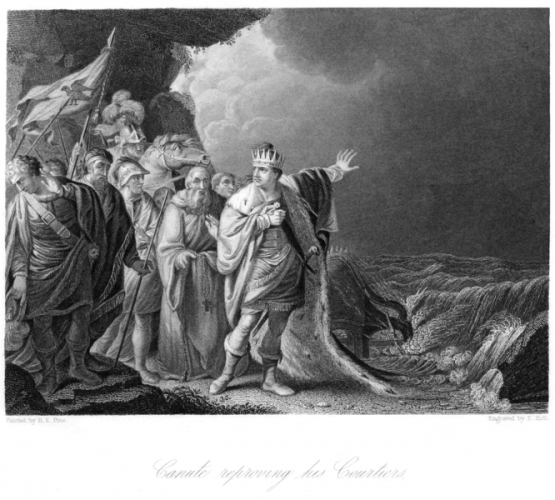 Where is King Canute when we need him? Rhode Island may have to start thinking big now that future sea-level rise is projected to be on its way to 10 feet. Grover Fugate, executive director of the state Coastal Resources Management Council (CRMC), said Rhode Island should consider measures beyond the hurricane barrier in Providence to protect the city and other parts of Narragansett Bay. Fugate suggested emulating Massachusetts, which is contemplating building a 4-mile-long, 20-foot-tall seawall between Hull and Deer Island. The massive structure would barricade Boston Harbor during a threatening storm. Boston officials also are exploring construction of berms and canals to keep floodwater out of neighborhoods. “We really have to think about it and start thinking about it soon,” he said. Fugate isn’t yet calling for barriers at the entrance to Narragansett Bay. And he’s not certain what Providence and other bay communities may require to stave off damage from sea-level rise and the bigger floods and storms caused by climate change. One suggestion is rerouting the Moshassuck and Woonasquatucket rivers away from downtown Providence. Fugate is motivated by new estimates released in January by the National Oceanic and Atmospheric Administration (NOAA) that increase the upper level for sea-level rise in the Northeast to 9 feet, 10 inches by 2100. At that level, downtown Providence and the ports of Galilee, Quonset and Providence would be “gone,” according to Fugate. The new sea-level estimate spells the end for structures along the south shore of Rhode Island. Warwick, Wickford, Barrington, Bristol, Warren and other low-lying communities will be severely damaged, Fugate said. So what is being done to prepare Rhode Island for extreme sea-level rise? At the policy and planning level, CRMC is tasked with addressing sea-level rise for Rhode Island’s 21 coastal communities. Its Shoreline Change Special Area Management Plan (Beach SAMP) is still being drafted, but the planning guide includes an array of solutions, such as fortifying buildings and abandoning high-risk coastal areas along Rhode Island’s south shore. A similar management plan for communities along Narragansett Bay is expected to commence soon, as CRMC recently received a $250,000 grant for a Bay SAMP. SAMP plans can make a difference. The state's Ocean SAMP is credited with facilitating the nation’s first offshore wind farm. Other coastal states and even Nova Scotia are copying Rhode Island’s model, to manage their fishing, wind and other offshore industries. Fugate recently received the prestigious Peter Benchley Ocean Award for leading Rhode Island’s Ocean SAMP project. While it doesn’t set policy, the Beach SAMP offers guidance for state agencies and municipalities for writing the rules, such as building codes. It encourages seasonal businesses such as food vendors and surf shops to operate in structures that can be towed away ahead of storms. Although 2100 is a long way off, Fugate sees urgency in NOAA’s latest projections. A 3- to 5-foot rise by 2050 would permanently flood many communities. Seasonal high tides, such as moon tides, increase these water levels by at least 2 feet and they climb higher with storms. Long term, NOAA projects sea levels to increase between 32 and 37 feet by 2200, which is expected to severely flood every coastal city in the world. “I’m still trying to get my head around those numbers to tell you the truth,” Fugate said. For now, Fugate intends to educate state and municipal planners, the public and anyone involved with building. Long-standing structures such as bridges, roads and sewage treatment plants must be built or modified to withstand rising waters and the additional wave height from large storms. Fugate said state agencies, such as the Department of Transportation, aren't designing roads and bridges with long-term sea-level rise in mind. “You really need to plan for the future not for today,” he said. At the moment, CRMC is focused on protecting buildings on the south shore already suffering from higher seas, erosion and more frequent flooding. On March 21, Fugate is expected to meet with the Army Corps of Engineers to review a $60 million program aimed at elevating 140 coastal homes between Westerly and Narragansett. So far, the concept of retreat and abandoning flood-prone property isn't getting serious consideration, or money. Elevating buildings is cheaper than buying them, and the Army Corps program is offering to pay 70 percent of the cost to raise the foundations of homes. Fugate is also encouraged now that the Army Corps is increasing its sea-level rise projections so that more homes qualify for federal assistance. The new projections may also exclude other properties from qualifying for subsidies, as anticipated flooding and erosion are expected to habitually destroy roads and other infrastructure. Fugate said CRMC won’t endorse buyouts because under the Army Corps program any home targeted for a buyout is condemned and taken from its owner. The home elevation program, however, is strictly voluntary. Supporting mandatory buyouts, he said, is simply too political.